I won this book in a contest run by Devika Fernando and being a bookworm I must say I was thrilled to the core. The story opens with the protagonist Felicia, a quiet librarian, shunning, denying her inner nature and power till it is recognized and acknowledged by Joshua Norton. 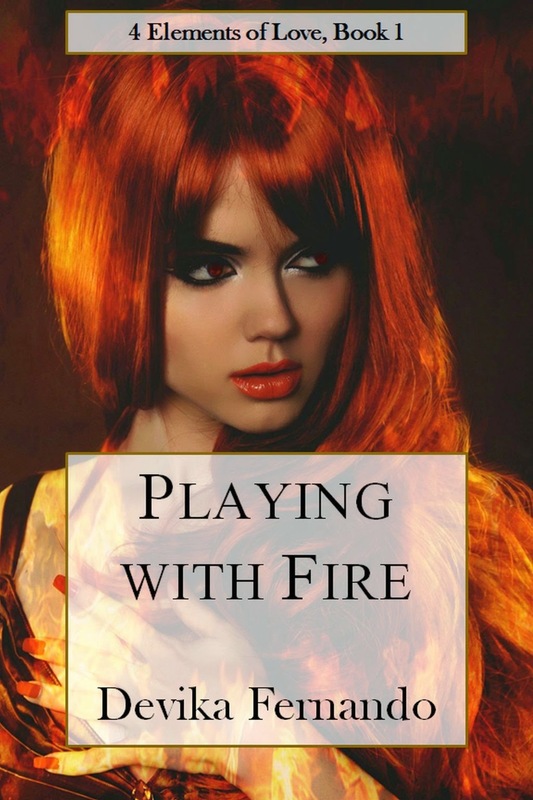 The ensuing journey of learning to control the divine energy and rediscover herself, Felicia and Joshua fall for each other and sparks really fly. The sensuous chemistry between the two ignites, sizzles and consumes both of them. The brisk plot takes us through various twists and turns, and ending with a surprising, atypical climax. This is the first book in recent time that I’ve read, where the author has successfully mixed wisdom of both western and eastern culture through various lessons learned by Felicia. I loved the metaphoric (can’t reveal much) maturing of her power and found it very sweet and apt for the fire theme. Another thing which I liked was skillful weaving of details like colors, weather, clothing, food with respect to magical power into the plot. The eloquent portrayals made me want more as I came to the end of the story. 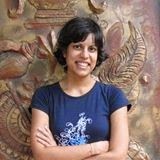 I’ve read Devika’s first book ‘When I see Your Face’ and am familiar with Devika’s incredible descriptive writing which bring the scenes alive in front of the eyes. It was a pleasure reading another book by her. n Germany and returning to her roots in Sri Lanka, she has turned her passion into her profession. Having lived in various countries around the globe has made her experience the best of two totally different worlds – something that influences her writing. Her trademark stories are deeply emotional romance where the characters actually fall in love instead of merely falling in lust. She draws inspiration from everyone and everything in life.